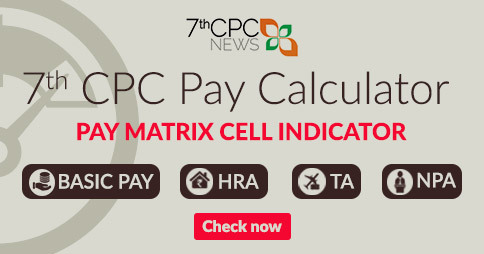 What will be my new basic pension inthe 7th.. CPC 2016? My basic pension in the 6th.cpc is 12489, I retired on 31-1-2014.My date ofbirthis 24-1-1956. What will be the rate of DA w.e.f. Jan.2019 for those drawing salary/pension in sixth pay slabs. Expecting as per Index 154%, (154-148 = 6% from 1/1/2019) still orders not released in view of financial year ending it will be paid after 1/4/2019 in the next F.Y. 2019-20. Pl. TELL WHAT IS O.M. 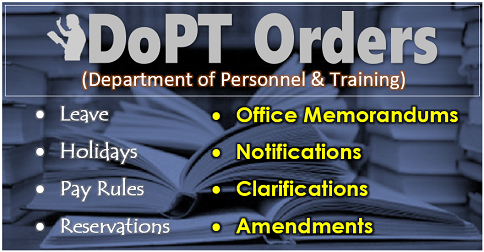 OF 6 CPC D.A. FOR 2018. In DA table for 6th cpc DA from JAN 2018 is shown 142%. What is order number for the same for in service and for pensioners. Please reply these order numbers. Thanks. 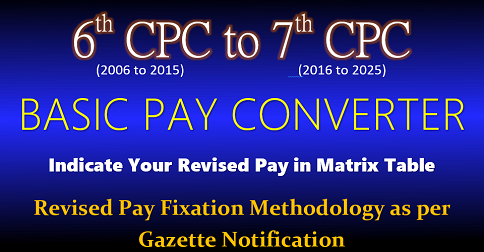 Answer to ATUL MAHADEO ACHARYA – 6th CPC D.A. order no.1/3/2008-E.II(B) ft.28/3/2018 & 11/9/2018 for 142% & 148% respectively. What about D A % w.e.f. 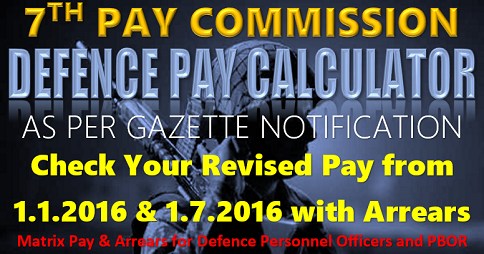 July 2018 as per sixth pay commission as we are still getting our pension as per 6th pay commission which has not been mentioned in the table. What will be D.A. w.e.f. July2018 ln Sixth Pay Scale. S P GUPTA : So far it has not released it may be 142% to 145% from 1/7/18. Answer to SUBHAN ALLAH-KHAN & GUPTA : As per Finance Ministry order dated 11/9/18 as 148%. Please accept my sincere gratitude and thanks for sharing useful information. 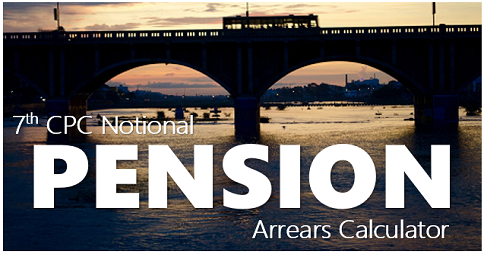 This in connection with revision of pension as 7th cpc , for which required data submitted as for back as November 2017 but sofar revised or corrigendum ppo not issued, resulting in non payment of revised pension and arrears. Pensioners who are at life stage of supper seniority their cases need to be dealt on priority to get benefits in life time . How much total DA is given to central govt employees since Jan, 2016 till July 2017? 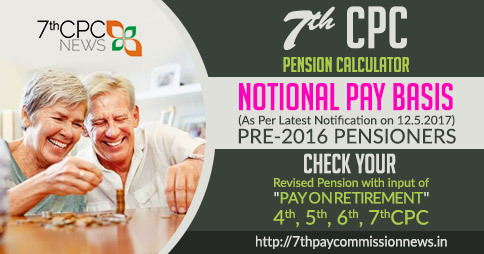 The Notional pay calculations in respect of Pre 2006 Pensioners seems to be OK. But I have a difference of opinion in respect of Post 2006 and pre 2016 pensioners who have retired from Jan 1015 till June 2015. They have invariably completed 6 months or above after their last increment viz july 2014. 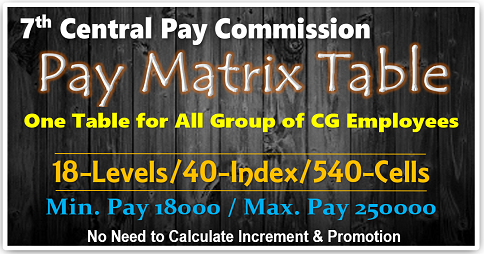 Their Notional Pay should be increased by one increment and not thier last pay drawn. These benefits have been neutralised in respect of Pre 2006 retirees/official retired/died after july 1,2015. DA TABLE IS VERY INFORMATIVE.PL GO ON PUBLISHING.